Summer is only a few months away from now! And with all the airline promos popping up here and there, there's no better time to get (or renew!) your passport. Having a passport also comes in handy for other #adulting stuff because it's a government-issued document you can use as identification. Below are three easy steps on how to get or renew your Philippine passport. Where do I book an appointment? 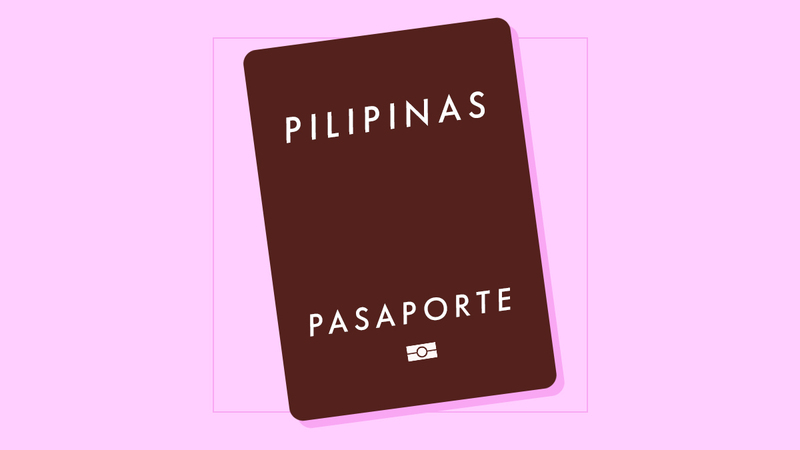 Whether you are renewing or getting your first passport, you need to set an appointment online at www.passport.gov.ph. Slots are limited so make sure you do this first before booking that flight! Flight bookings should ONLY be made if passports are still valid for at least six months. Just pick a consular office and a date. Pro tip: Try clicking refresh as sometimes slots open up from time to time. Slots go as early as 7:30 a.m. on weekdays and 8:00 a.m. on the weekend. If you want to avoid long lines, opt for a morning appointment. There are two types of processing you can choose from. Regular processing of 12 working days costs P950. If you're really in a hurry to catch that flight, then choose to expedite the process in as fast as seven days or even as early as six working days for Metro Manila Consular offices. This express option costs P1200. Take note: If you choose a Saturday appointment, it's automatically considered as express processing. To confirm, you have to pay through any on the list of authorized establishments within 48 hours or your appointment will be canceled. You just need your reference number (sent to you via email after booking a slot) and you have to pay a service fee of P50. Don't forget to keep the receipt after payment! You will then receive a confirmation email with the attached application packet you have to print. Application packet. Checklist with your indicated schedule, confirmed application form, and two copies of the e-receipt. PSA/NSO birth certificate. Bring an original copy along with a photocopy. Can't find an original copy? Don't fret! You may order online through PSASerbilis website or the PSAHelpline.ph. For married females, bring an original copy of your marriage contract to support change in marital status. *take note that additional supporting documents may be needed for special cases. Current passport with photocopy, for renewals. If you lost or damaged your current passport, they will consider your application as a new application and not a renewal. Aside from this, they will also need a police report and an affidavit of loss with photocopies of each. And finally you will be charged a fee of P350. Tedious, right? So don't go around misplacing or damaging your old passport! After securing all your requirements, you must show up. Don't forget to wear decent clothing because they'll be taking your passport photo: No plunging necklines, sleeveless tops, see-through clothing, and the like. DFA advises you to be there thirty minutes before your set appointment. One perk of being early is that you'll finish early, too. Sometimes, even if your appointment is not for another thirty minutes, they may process your application earlier as long as you're already there. Such a time-saver! Once you're there, get a queue number at the application/appointment counter. When it's your turn, go to the processing area to present all of your documents. Then, proceed to the encoding station for them to take your photograph, fingerprints, and digitized signature. And don't you worry, there are signs everywhere. Plus, there will be DFA officers to help you out. There are two ways to go about this: You can return to the DFA office on the indicated date on your claim stub and proceed to the passport releasing station. Busy that day? You may assign someone else to get it for you provided you execute a special power of attorney stating the reasons why you aren't able to claim it yourself. If you don't want to be bothered with all this, you may have your passport delivered for an additional fee of P150, to be paid at the DFA premises after your appointment process. Once you're done, you're good to go for the next ten years!